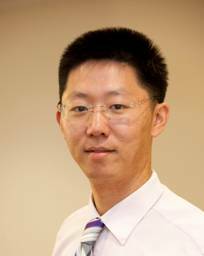 Zhenhua Chen is a research associate at the Center for Public-Private Partnership in School of Public Policy at George Mason University. His research interest includes economic geography, regional science, transportation planning and policy, and public finance. Zhenhua’s dissertation develops, demonstrates and applies a new extension to computable general equilibrium analysis with an integration of spatial econometrics to assist policy makers in assessing the impact of public infrastructure investments on economic output at different geographic scales (national, state and metropolitan) with an emphasis on the U.S. northeast megaregion. His dissertation received both the Benjamin H. Stevens Graduate Fellowship in Regional Science awarded by North American Regional Science Council and the Vernon E. Jordan, Jr. Fellowship Award awarded by Economic Club of Washington, D.C.
Zhenhua’s recent research has been published on Papers in Regional Science, Economic Development Quarterly, Public Works Management and Policy, Applied Economic Letters, Case Studies on Transport Policy and Transportation Law Journal. Before coming to George Mason University, Zhenhua received his MA in Regional Economics from the College of Economics at Shenzhen University in China. During that time, he worked on a passenger rail policy research named Economic Analysis and Counter Measures for the Implementation of the ‘Real-Name System’ for Chinese Railroad Tickets, which aimed to develop a policy to discourage illegal ticket scalping during travel peak seasons in China.